DESPITE the well-documented suffering experienced by Mongolia’s mining industry, newly-listed Tian Poh Resources has great confidence in the country’s future and is investing heavily in its undoubted mineral potential. While many resource companies are in hibernation during this difficult time, Tian Poh sees it as a time of great opportunity to raise funds and secure mineral properties with plenty of upside. 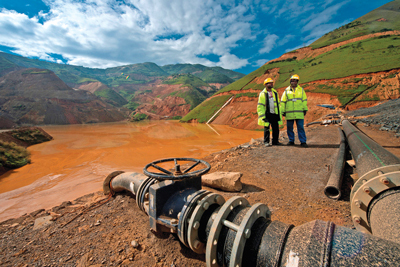 MASAN Resources, a subsidiary of Masan Group, is vying to become Vietnam’s private sector resources champion by acquiring, exploring and developing resource assets. 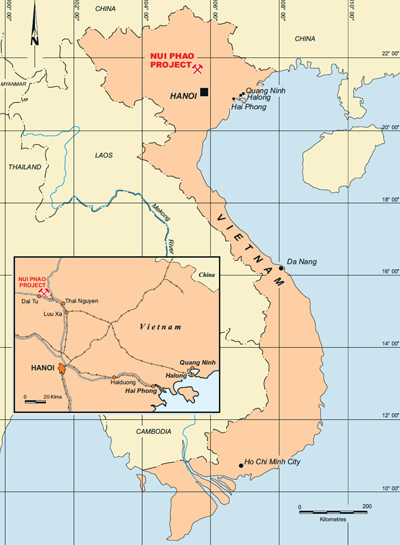 In 2010, the company acquired the Nui Phao Project in Thai Nguyen province in northern Vietnam containing tungsten, fluorspar, bismuth and copper. JORC compliant reserves were at 52.5 million tonnes of ore with average WO3 (tungsten trioxide) grade of 0.21%. Now some 15 months after starting commissioning Nui Phao is the largest producer of tungsten concentrate outside of China and is ramping up to become one of the largest producers of acid-grade fluorspar and bismuth in the world.